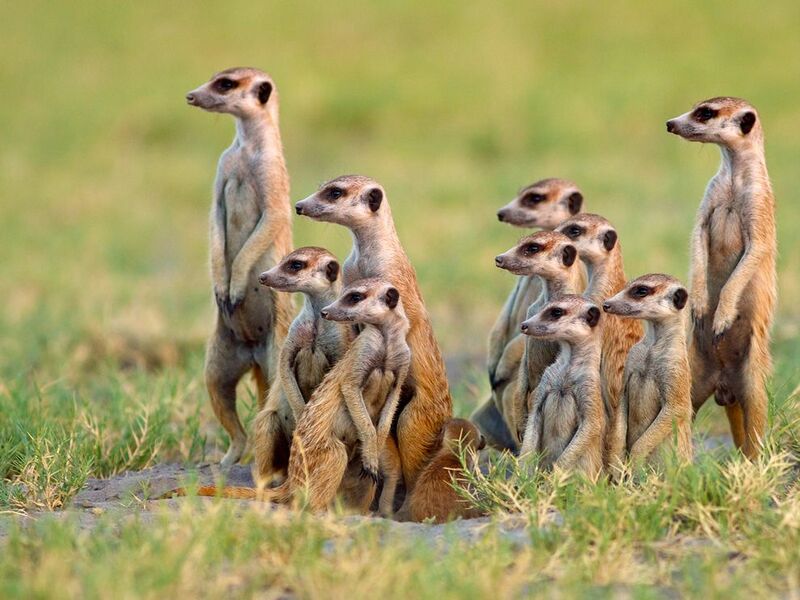 Photo: Meerkats gaze away in the same direction. Meerkat mobs exhibit cooperative behavior. They live in close, family-related groups, and all members of a mob work together for breeding, creating shelter, and protection.